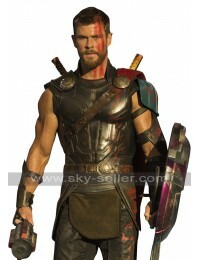 Clothing that has been inspired by any celebrity is something which must always be considered when it comes to grabbing something different for clothing purpose. 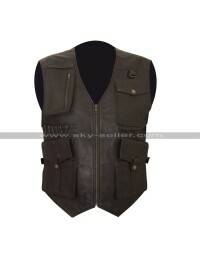 This vest is a very perfectly inspired vest from a celebrity and looks outclass in all aspects. 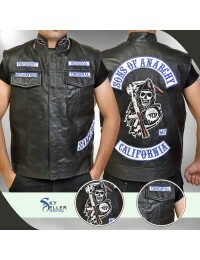 This vest has been made using the best quality material that comprises being genuine leather and faux leather. 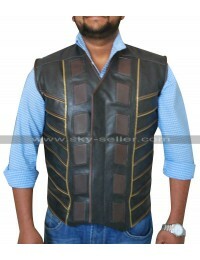 There are numerous choices of size offered to the buyers as well and there is a choice of customization of size too. There are two different colors available in the choice and the front has been embellished with stripes in the embossed style with a V neck. 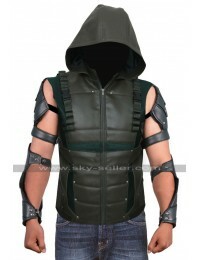 The front closure has been featured with buttons and the shoulders also have patches with little studs too. 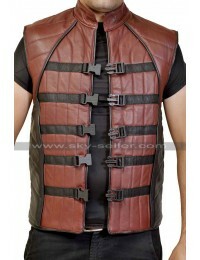 The inner of this vest has been made using the viscose material and there are belts and loops too. 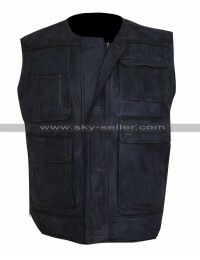 This is a perfect choice to be worn in the formal as well as casual occasions without a doubt.